As I dropped off my vehicle at the port to have it shipped to Oahu, I asked the clerk the question, “How many vehicles are dropped off a day?” “Maybe 60-80, and most of ’em come back” she replied with a laugh. And there you have it. And so I wasn’t surprised to recently read that more people are moving off Hawai’i, than moving here. If you do decide to move to Hawai’i, I want you to be grateful for seizing the opportunity. 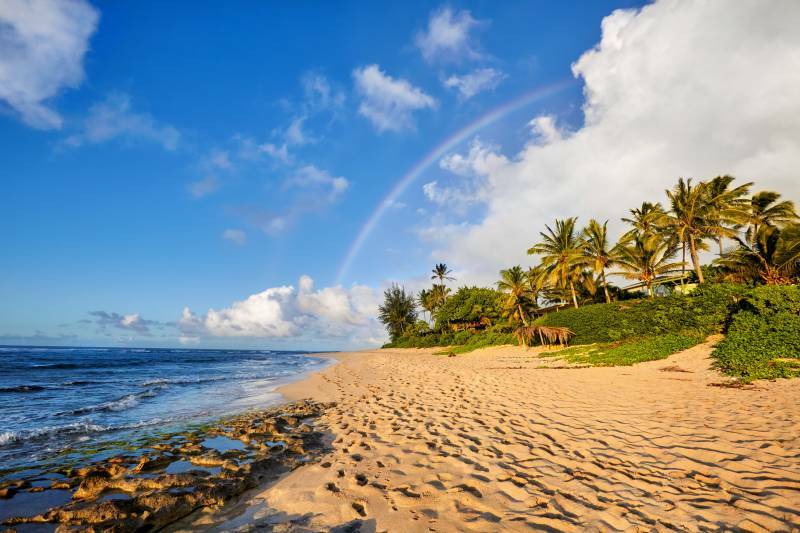 And since the experience of vacationing in Hawai’i is vastly different than setting up a full-time residence, my goal for this article is to highlight some factors to consider before deciding to move to Hawai’i. First . . . 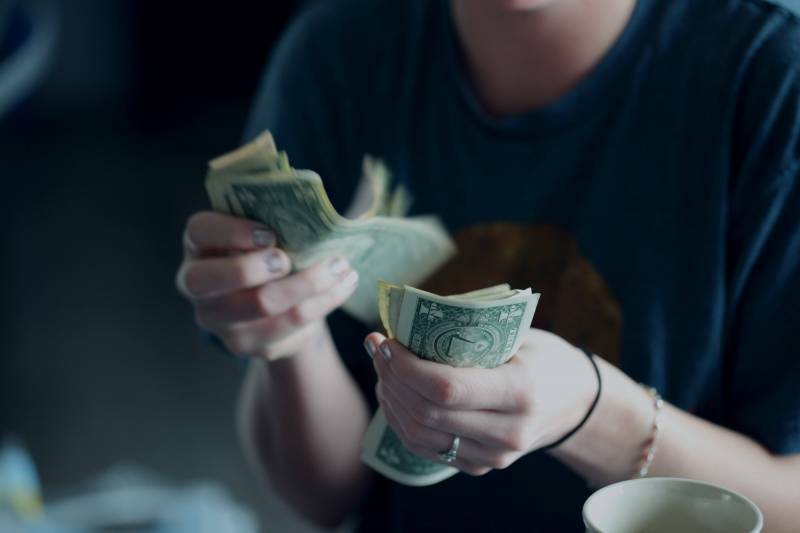 Most important thing to be aware of – living in Hawai’i is expensive. First is housing. Whether renting or buying, you get a lot less here for your money than most places on the mainland. Also, though Amazon delivering here has definitely helped lower some expenses, most things still cost more. The reason is most items sold here are shipped or flown in. But from a car wash to dry cleaner, to milk, plan on paying more for almost everything. I’ve been told average item costs 20% more here than the mainland. But in my experience, the price difference between many of my regular purchases here compared to Seattle is much more than 20%. Also be aware, Hawai’i has a state income tax. These days, the Hawai’i Government strictly guards the state ecosystem against the invasion of non-native animal and plant species, and pets suspected to be carriers of disease. Therefore, it’s important you plan accordingly when moving to Hawai’i with your pet(s). You can choose either a 120-day quarantine or a 5-day (or less) quarantine. Quarantine is done on O’ahu. There is a lot to know on this topic, so read more about pet quarantine here. If you are a wildlife enthusiast, you’ll likely love this aspect of Hawai’i. Across the islands, you’ll find various species of wildlife, some endemic to only a single island. Regardless of where you choose to live here, wildlife will be a part of your daily life. Most common will be a variety of birds and geckos, but depending on your activities you can often see whales, turtles, tropical fish, mongoose, and wild pig. Here are some favorite species of wildlife. However, the author of that article missed a special one . . . Wallaby. Yep, it is estimated there are 40 Wallaby living on O’ahu. If you move to O’ahu, you might get lucky and catch a rare look at one. Prior to my 2017 trip to O’ahu, I had always stayed in Waikiki. Thus, I had no idea about the wild chickens. 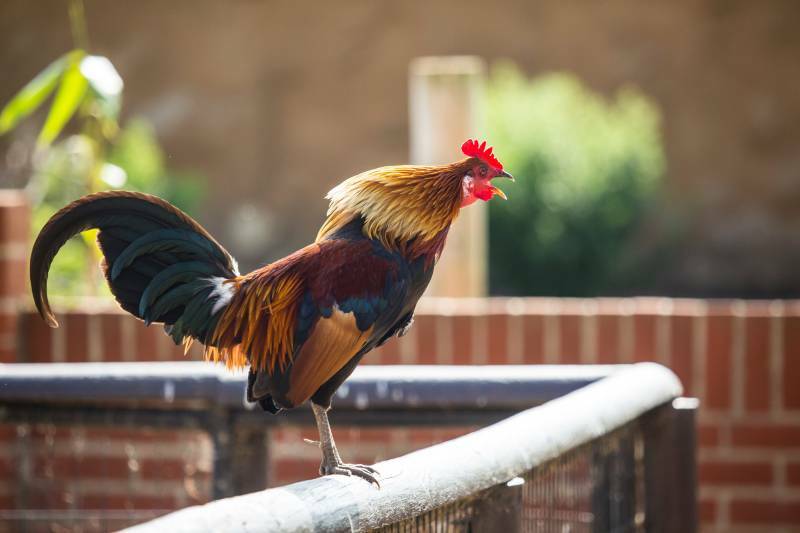 Both hens and roosters can be incredibly beautiful, however, if you move to Hawai’i and want to live in a quiet neighborhood, you definitely need to keep the roosters in mind — as these fellas are noisy. And this is coming from a person who lived on a blueberry farm as a kid and had chickens. Here in Hawai’i, it’s not just the morning call. If you live in an area highly populated with chickens, there’s a good chance of a rooster crowing at any time of day. However, there is an easy solution to a, particularly noisy bird. A local has told me these wild chickens are “mighty tasty” to eat. Depending on which island you choose, if you are moving to Hawai’i from a big city with the hopes of escaping traffic, think again. For O’ahu, traffic is often heavy – especially during commute hours and weekends. On O’ahu, there is light rail under construction but the first section is not scheduled for completion until 2020. Because of limited land and difficulty of building new roads, it appears our traffic problem is not going away any time soon. Depending on time of day and area, you can also experience heavy traffic on Maui and Kauai. After you’ve moved to Hawai’i, sooner or later you might experience, “Island Fever.” One remedy for this is to go explore a different island of the Hawaiian archipelago. Fortunately, Hawaiian, Southwest, and Mokulele airlines makes this very easy (and pretty affordable) to do. For a getaway, I highly recommend it. Thus far, I’ve been to O’ahu, Maui, Moloka’i, and Kauai, and each island truly has it’s own unique characteristics. Seeing each island for its own uniqueness, can make a person grateful for which island he/she lives, as well as the special beauty of each other island. Lastly, if you do island hop, be sure to get a window seat — the views are incredible. It’s best you’re prepared for the presence of an abundant amount of insects when you move to Hawai’i. Irrespective of how clean your residence is, there is a high probability you’ll eventually be paid a visit by some species. Most likely cockroaches or ants, but centipedes and millipedes are also common. After moving to O’ahu, I quickly learned that most locals just accept insects as a part of life here. 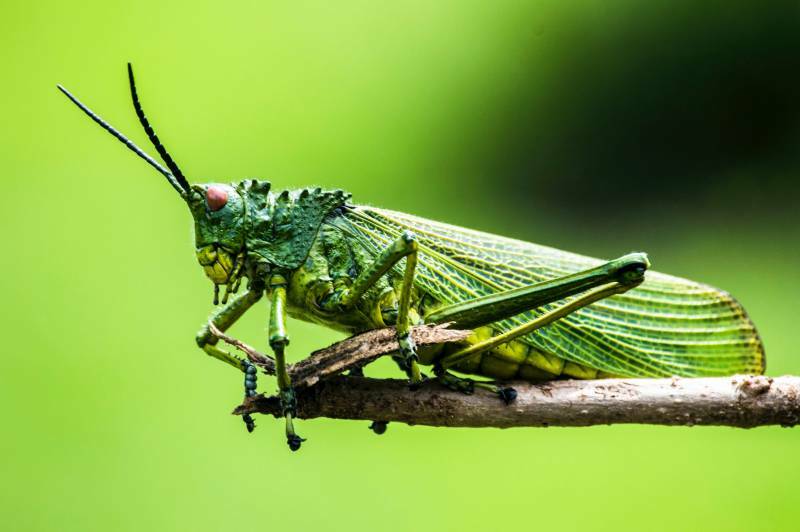 Cockroaches can be a nuisance, and it is not surprising to see them running (sometimes flying) around at night. And unfortunately, mosquitoes are also very numerous in certain parts of Hawai’i. Be prepared, especially if you enjoy hiking. And a local tip that I, fortunately, have yet to use is to keep small bottles of ammonia in different parts of your residence. Thus, if you are bitten by a centipede, quickly apply a bandage soaked with ammonia. Supposedly this greatly reduces pain and recovery time. Personally, insects have been much less of a problem than I expected. So much less that I’ve opted not to use pest control at my residence. So choose your own method to deal with them. And like most things in life, with patience, you will likely get used to the insects. Maybe even appreciate the important role they play in the ecosystem. A favorite of mine. Thankfully, due to the climate here, the dress code is mostly casual. And unless you are in Honolulu, it’s quite rare to see people wearing typical “corporate” attire. I’d describe the dress code here as comfortable and diverse. So dress for the weather and what you enjoy wearing. And “flip flops” or “thongs” are known as “slippers” here. If you are a punctual person like I am, I do not recommend you change your ways. However, the chance of you enjoying life here will greatly increase if you understand and accept “island time.” What is “island time?” Simply, things are often done at a slower pace, and that 12pm casual lunch meeting, may not start until 12:10, 12:15. . . . 12:20. For me, moving here single, and without a job, my first experience with “island time” was going on a few dates. I’d always show up on time or a little early, and end up waiting a bit. “Island time” started to dawn on me then, but really hit home when a woman said “locals are going to find it weird if you show up to their house early. Best to always be a little late so they don’t get stressed.” Now, this isn’t a steadfast rule, but if the person you are meeting is late. . . relax and enjoy the beauty of Hawai’i. Due to the high number of people who quickly change their mind about living in Hawaii, many local companies are skeptical about hiring people who just moved here. Also, and this was a shock to me, a similar job position generally pays less here than on the mainland. On O’ahu, where I live, I’ve spoken to numerous transplants who complain about the lower salaries here and have been told it’s worse on other islands. The reality is Hawaiians make less than their mainland counterparts in almost every industry. Thus, be prepared that you may likely earn less here than you did on the mainland. Aloha. . . “The Breath Of Life Given Face To Face.” If you make an effort to embrace the history, culture, and locals of Hawai’i, you’ll discover friendship and love shared by many living here. The same can be said about “Mana” – something I’ve experienced while sitting quietly on a surfboard. I highly recommend you leave all your expectations and most of your mainland “conditioning” on the mainland. 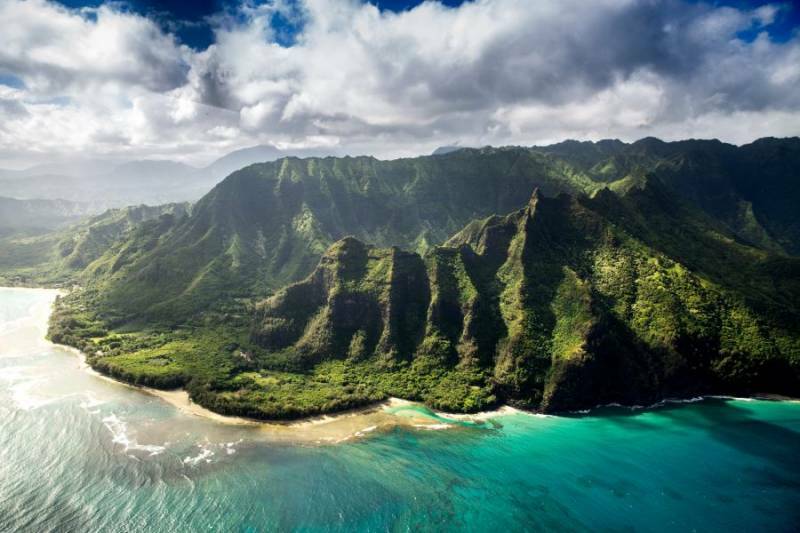 Move here with an open mind and heart and gratefully accept all that Hawai’i Life has to offer. Made the decision to move to Hawai’i? Want to buy a house or condo here? Simply call me directly at 808 354-5772 or click here. I look forward to helping you achieve your real estate goals. I’m here to serve you. Bryan Vukelich is a REALTOR Associate with Hawai'i Life. 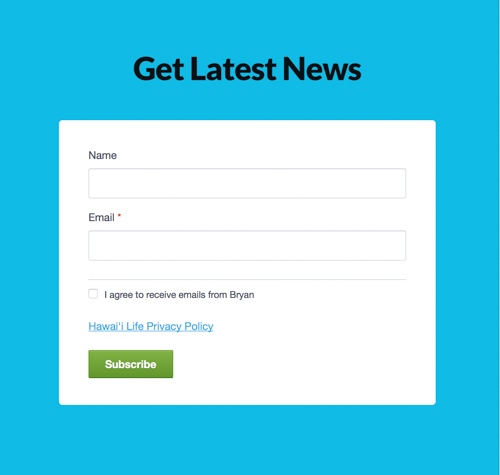 You can email me at	BryanVukelich@HawaiiLife.com	or via phone at (808) 354-5772.